Tehran (AFP) - Hairstyles of a spiky and unorthodox nature have reportedly been banned in Iran because they imply devil-worship, while tattoos and other male bodily adornments also being outlawed. 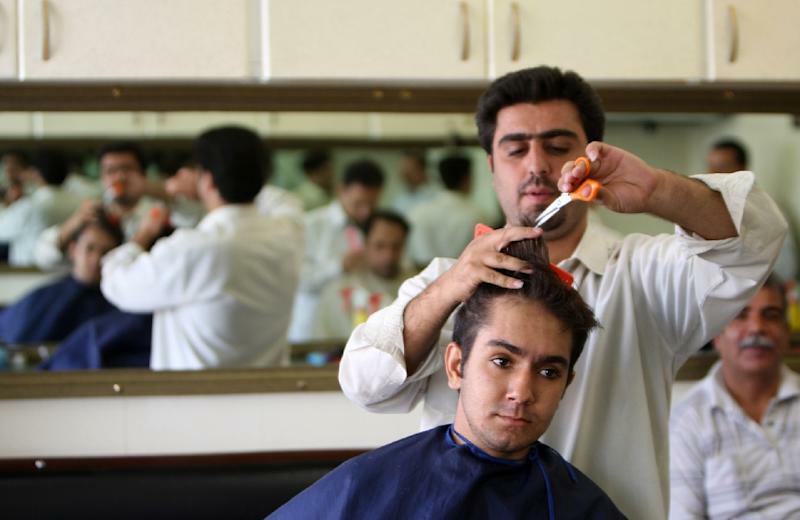 "Devil worshipping hairstyles are now forbidden," said Mostafa Govahi, the head of Iran's Barbers Union, cited by the ISNA news agency. "Any shop that cuts hair in the devil worshipping style will be harshly dealt with and their licence revoked," he said, noting that if a business cut hair in such a style this will "violate the Islamic system's regulations". As well as tattoos being banned, solarium treatments and the plucking of eyebrows -- another rising trend among young Iranian males -- will not be tolerated, the report said. Govahi blamed unauthorised barbers for offering the spiky hairstyles and other treatments. "Usually the barber shops who do this do not have a licence. They have been identified and will be dealt with," he said. The Barbers Union represents only male hairdressers in Iran, with female stylists having a separate trade organisation.